"In today's rapidly changing digital environment, Darwinism is alive and well. What's the Future of Business doesn't just explore trends and theories; it introduces a dynamic, actionable path to transformation." What's the Future of Business? will galvanize a new movement that aligns the tenets of user experience with the vision of innovative leadership to improve business performance, engagement, and relationships for a new generation of consumerism. It provides an overview of real-world experiences versus "user" experiences in relation to products, services, mobile, social media, and commerce, among others. This book explains why experience is everything and how the future of business will come down to shared experiences. 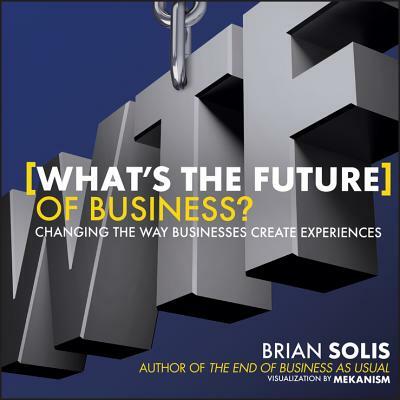 BRIAN SOLIS is globally recognized as one of the most prominent thought leaders in new media. A digital analyst, sociologist, and futurist, Solis has influenced the effects of emerging media on business and culture. He is Principal of Altimeter Group, a leading research-based advisory firm in Silicon Valley. He is the author of Engage! and The End of Business as Usual, both from Wiley. His blog, BrianSolis.com, is among the world's leading business strategy and marketing resources.